Here I have assembled a full collection of Luftwaffe Flight Training Videos that center around IL-2. Most of the videos originate from the IL-2 Cliffs Of Dover Battle of Britain stage. There are also additional IL-2 Sturmovik 1946 Tutorials, all of which benefit users of both versions of IL-2. 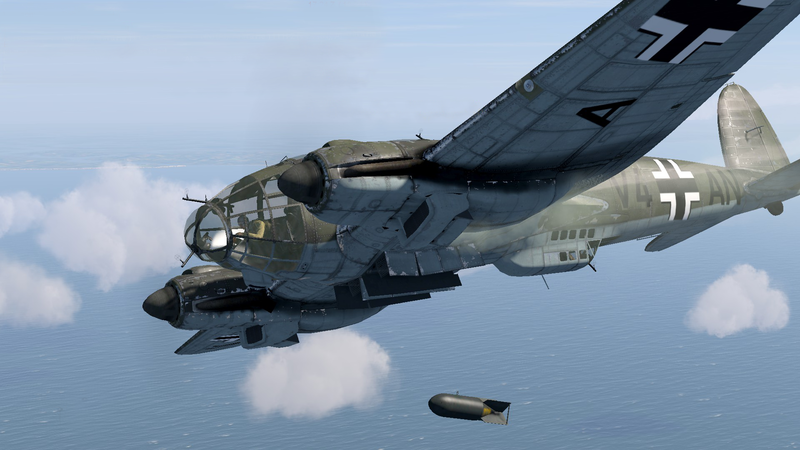 Flying aircraft in the Luftwaffe IL-2, I have discovered that just to “start” the aircraft is a little more involved than traditional PC Flight Sim “games”. You can’t just press the “e-key” to start the engine. To fly an aircraft can require even more training depending if you dial in various degree of “realism setting” offered in game. If you seek to play on a server such as ATAG serve for IL-2 you will find only the full spectrum of “realism” is set for all players. Consequently, taking the time to review tutorial training videos for IL-2 is truly essential in helping overcome the steep learning curve. I encourage you to explore this collection of more than 20+ videos as I did and use them as they where intended by there creator, to train for game play and enjoy the experience to fly for the Luftwaffe. Where you want to get started with specific aircraft or you wish to get full set of training, you will fin it easy to pick and choose the videos you seek. As new videos are released, this collection will me expanded accordingly. Enjoy your Luftwaffe Flight Training Video experience as I hope to see you on the battle field soon.